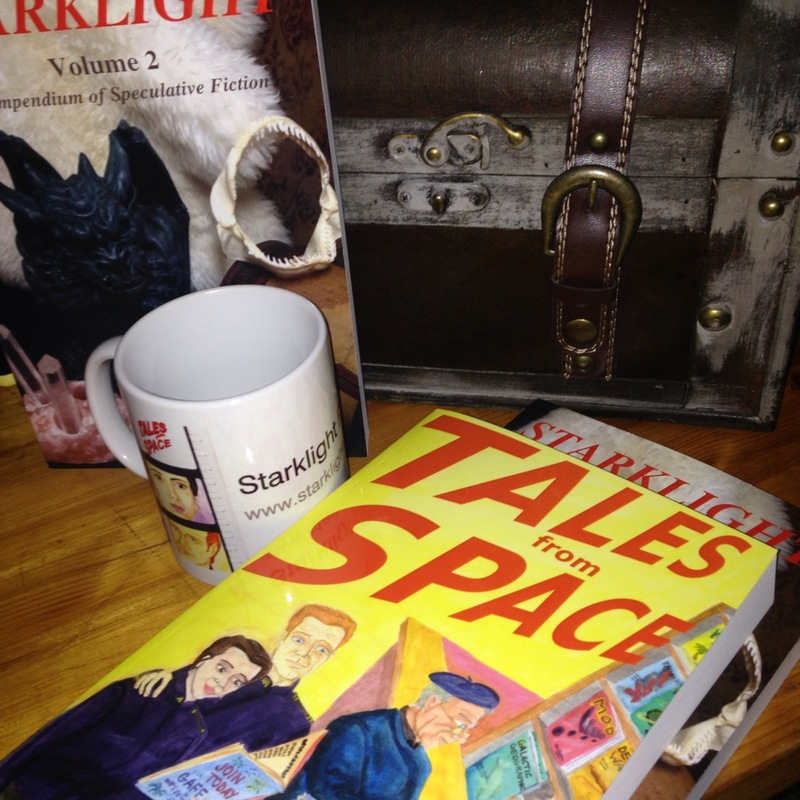 It’s been a while, folks, but StarkLight Press is back! Or rather, we are finally getting around to updating all of you lovely, loyal fans with all the amazing books, poems, multimedia work and more our happy little elves at StarkLight have been working on this past evolution. … starting with our latest book, a Tales from Space series novel involving some of your favorite characters, including by popular demand, Verily Wrought in kid form and that precocious scamp of an android, Nick Goodfrey. Check in later this week for the details on our latest title, The Androsian Question, along with updated editions of An Incident in El Noor, Dalton’s Daughter and its sequel Galaxy’s Daughter. Poetry anthology information to follow for your favorite authors, Virginia Stark! Check again soon for information on our upcoming short story contest, and poetry contest as well! It’s just what the Galaxy wanted for a holiday gift! Blue Moon Season Release Date! Our first were-themed anthology is set to hit bookshelves in stores across North America on August 21, 2016! This rollicking read features stories about transformation into anything… wolves, fossas, lamps… this anthology is filled with spine-chilling misadventures of people who tangled with the light of the full moon, and the monsters that emerge from it. Featuring a bevvy of new authors, as well as StarkLight Press favorites, Blue Moon Season is perhaps our most horrifying, entertaining anthology to date! Congratulations to all of our winning authors! Look for Blue Moon Season Anthology August 21 on Amazon and Scribd, as well as in bookstores in British Columbia, Ohio, Ontario and California! 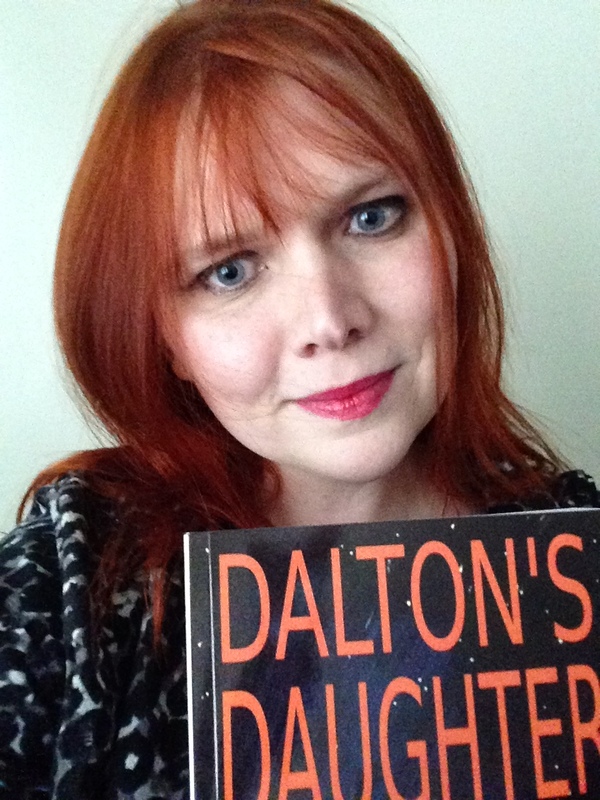 Outermost Magazine July Reading Spree! 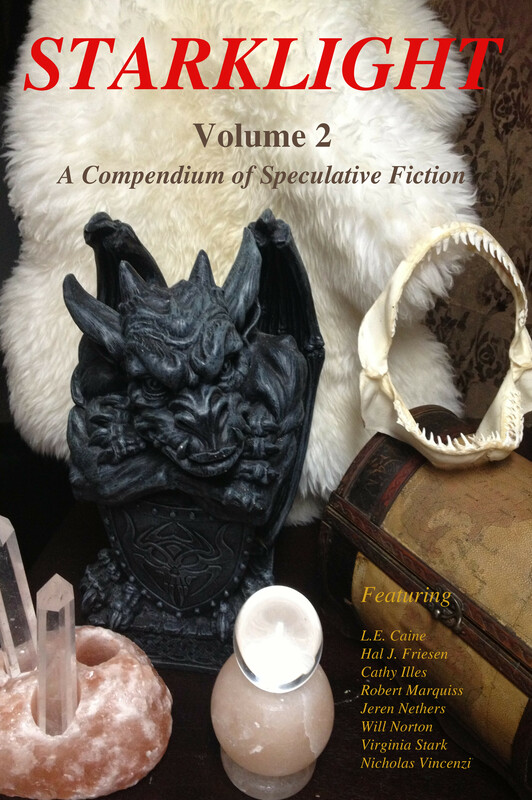 To celebrate our monthly paranormal magazine, Outermost: A Journal of the Paranormal, StarkLight Press is happy to announce that all 8 titles are FREE for the month of July! You can find them online here, for FREE, only for July. Look for Issue 9, (also free for July) coming out on the 15th of this month! This piece, along with others from artists throughout Canada’s northern territories, is part of the Art Walk in Dawson Creek, B.C. this year. 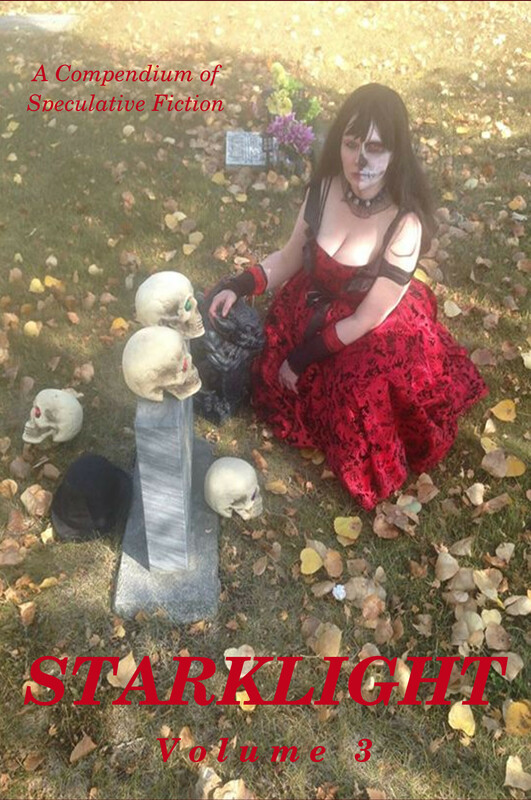 Pieces from StarkLight Press can be seen at Faking Sanity Bookshop in downtown Dawson Creek throughout the summer. The Madder family is one of Victorian London’s premiere families, with a textile empire father Geoffrey Madder forged from the riches of the Indian colony. His three girls were some of the most sought-after matches in the Empire. When Geoffrey disappeared in the wilds of Asia, those three girls were left to their own devices- only their closest neighbor and friend, Horus Haut de Nuit, came to their aid and tried his best to keep them from the circling society vultures. Horus left his inventions and trekked to India to divine the fate of his dear friend Geoffrey, and returned with a massive, beautiful tiger… with Geoffrey Madder’s eyes. Unable to find a means to rectify the accursed transformation that Geoffrey had undergone, Horus instead developed a showy collar for his friend, so that Geoffrey could accompany his youngest daugher, Rosie, to all of the business meetings, society functions and other neccesitous events required to keep up the Madder fortunes. Although lauded throughout London for the creation of Rosie’s amazing clockwork tiger, Horus was not satisfied until he had created an actual clockwork man. Link, the brass and steel artificial man, not only had his own sentience, but could be used in place of steam and gas powered devices. Would Horus’ latest invention be allowed to remain a free creation, or would the interests that had shaped the steam-powered Victorian age do anything to stop Link and his father from changing their world? You can read the first installment of The Madder Family Chronicles in Holly and Ivy, A StarkLight Steampunk Christmas Anthology. Howard Donovan rolls his eyes in exasperation at the offensive antics of the Pismarian pirate racers as the starting lineup for The 187th Annual Galactic Grand Prix waits. This year’s Grand Prix takes place in the Gamma Quadrant, a dangerous and primitive part of the Milky Way. Pirates and shady characters have found their way into this year’s race as a result, bringing stolen technology like the Winged Particle Surfer to try to increase their winning edge. The Galaxy’s most versatile personal flight craft, the Donovan Jump Jet, will have its work cut out for it in this motley collection of space ships of intergalactic design. Howard will have to be on the look out for cheats and sabotage of all kinds as he tries to negotiate one of the most challenging space race courses in the GAGA. The account of this thrilling space sport is told in the science fiction anthology, Tales from Space 2. Available this July from StarkLight Press, Tales from Space 2 features this story as well as tales about the wroiling mass of consumers, workers, stars and soldiers that make up the GAF Mainframe science fiction universe. Look for GAF Mainframe books An Incident in El Noor, The Arkellan Treaty and Space Stranded, coming later this summer from StarkLight Press. Peruse through our available titles here, order yourself a copy of your favorite books today! Tales from Space Volume 1- This highly addictive, thought-provoking volume provides backstory to the incredibly engaging GAF Mainframe Universe. Read the events behind important references in the GAF Universe, including the Legend of the Bluestone Maenad, Verily Wrought’s kidnapping, the foundation of the Grater Love Cult, Buxbie’s Better Bees and more! Introducing a very special, close-deadline short story contest! As usual, we are looking for stories with a wry, speculative, thought-provoking twist- and this time, with an added shot of Christmas, Solstice and any other winter holiday you think goes well with gears and petticoats. Poems and other print media are welcomed. 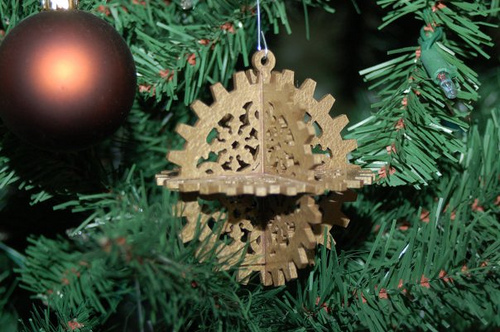 Share with your steampunk-minded friends today!